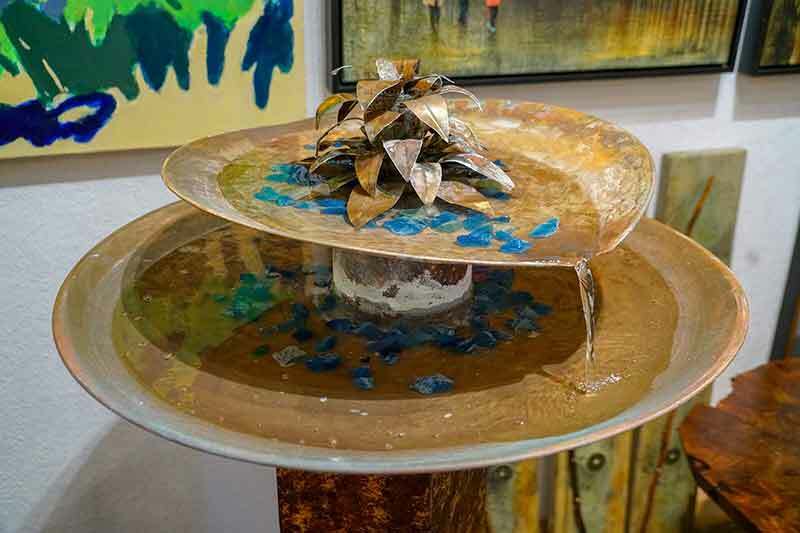 Among the gallery’s most impressive pieces are its water features. It showcases the work of five artists who make their pieces by hand in copper, stone, and glass. They include free-standing copper pieces and works that are reverse painted on glass. Artists in this medium include Johnny Manuel and Marlys DeStefano.